Gotye, whose real name is Wouter Debacker and who hails from Bruges, won the award for Record of the Year for his hit single ‘Somebody That I Used To Know’. He was handed the trophy by none other than the pop star Prince who exclaimed “I love this song”, when he ripped open the envelope with the winner’s name. In all the Belgian singer-songwriter landed three prizes. Gotye’s album ‘Making Mirrors’ got the award for ‘best alternative album’. 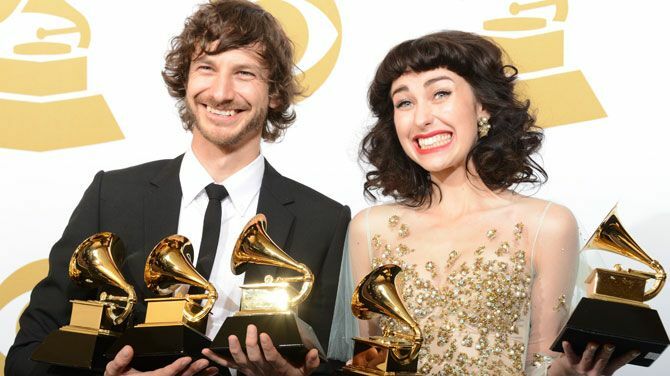 His singing performance on the Single with the New Zealand singer Kimbra earned him the award for ‘best duet’. Next articleCompetition: win dinner for two!